"When the application starts, it recognizes the number of opened projects created in Revit. "If more than two projects are opened, a dialog displays where you can select two projects to be compared. "Comparing models that were created as a result of copying elements (for example, through the Clipboard) may not lead to good quality results. "Original element identifiers (ID) may be changed in the application, which makes element identification and correct comparison of models impossible. 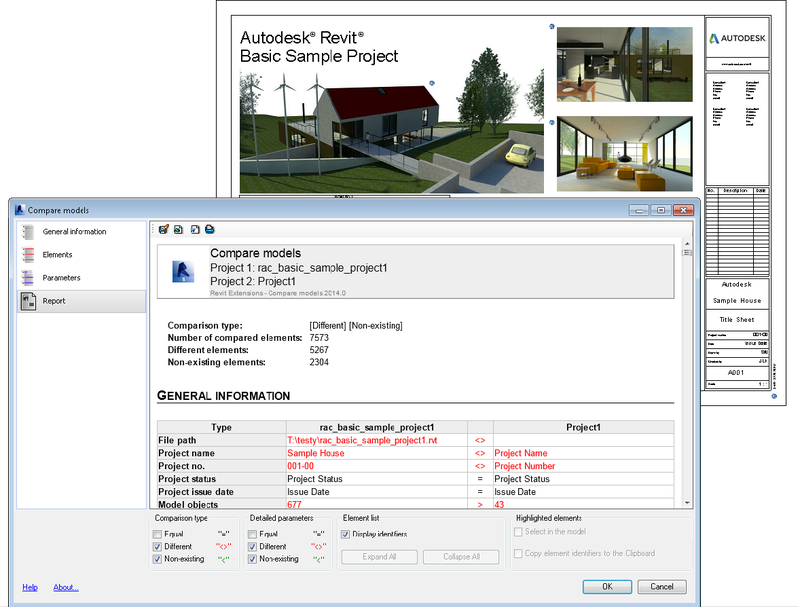 "After selection of two Revit models, the main dialog of the application, used for comparing models, displays. The detailed comparison can be reviewed by the user and can also be presented in the form of a report."